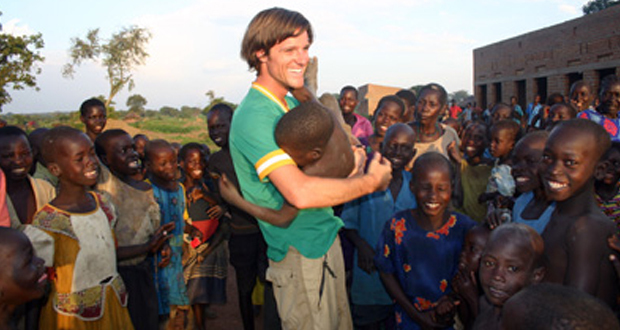 Jason Russell meets with Ugandan children in the film “Invisible Children,” which focuses on the plight of exploited children in the war-torn nation. Photo courtesy of Invisible Children. SAN DIEGO — A campaign to arrest an African warlord generated awareness in more ways than the effort’s co-founder Jason Russell could have ever imagined. The “Kony 2012” campaign captured widespread attention for its push to arrest Joseph Kony, head of the Lord’s Resistance Army, which abducts and forces children to become soldiers. For a grass-roots video project that suddenly went viral, it was a phenomenal success. Two weeks after the group Invisible Children released the video last year, Russell, the group’s co-founder, was detained and hospitalized for erratic behavior after he was found running naked and cursing the devil in the streets of San Diego. “The preliminary diagnosis he received is called brief reactive psychosis, an acute state brought on by extreme exhaustion, stress and dehydration,” Russell’s wife, Danica, said in a statement at the time. For several months, he took a low profile as he sought treatment. But now Russell is returning to the spotlight, appearing on the Christian conference circuit. 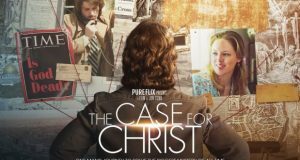 At a Q Conference for young evangelicals in April, he referenced his breakdown. “I’m alive, I am clothed, I am still a little bit crazy. x Exactly a year ago today I was in rehabilitation. It’s been that kind of year, but it’s been really great in the end,” he told the crowd in an interview with Q founder Gabe Lyons. At the Catalyst conference in Atlanta earlier this month, Russell spoke twice. In his first session, less than half of the room of several hundred seats was full. 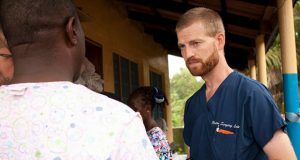 He has changed his image from how he appeared in the “Kony 2012” video, trading longer blond hair for shorter, slicked-back hair and thick-rimmed glasses. Russell declined an interview request, saying the media distorted his faith and spirituality in the past, especially after he appeared at Liberty University in 2011. In his Catalyst addresses, however, he was open about his faith. But then came Russell’s public breakdown. He noted Oprah Winfrey’s interview earlier this year with him. As Russell’s story played out in the national media, observers said it illustrated the risk of making someone the public face of an issue. Russell continues to promote Invisible Children and its newest campaign, against 250 LRA members who are holding 140 women and 72 children captive, according to the organization. Invisible Children recently launched a 10-week fundraising campaign called #zeroLRA to help people escape. Part of what fueled continued interest in Russell’s campaign was the scrutiny paid toward Invisible Children. Some criticized the film’s calls to action by working through the Ugandan army, and others suggested it overly simplified a complex situation. Other critics questioned whether money should support organizations that are focused mostly on awareness, or whether it’s appropriate to use children as part of an advocacy campaign. “We need to be careful not to sentimentalize the plight of others and feel that because we have ‘liked’ something on Facebook or we’ve been part of some campaign, it stops at that point,” said Susan Greener, a Wheaton College professor of intercultural studies who studies global issues facing children. Russell pointed to the success of the viral video — which has almost 100 million views on YouTube. “The good news is, in my belief, is we made (Kony) famous,” he said. At a bare minimum, “Kony 2012” sparked many conversations about best ways to pursue storytelling. 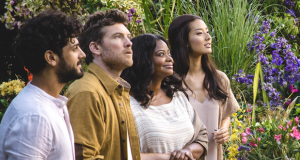 “He put himself at the center of the story as a way to give it heart and connect with an American audience, but who could expect the level of scrutiny that followed?” said Kent Annan, co-director of the relief group Haiti Partners.